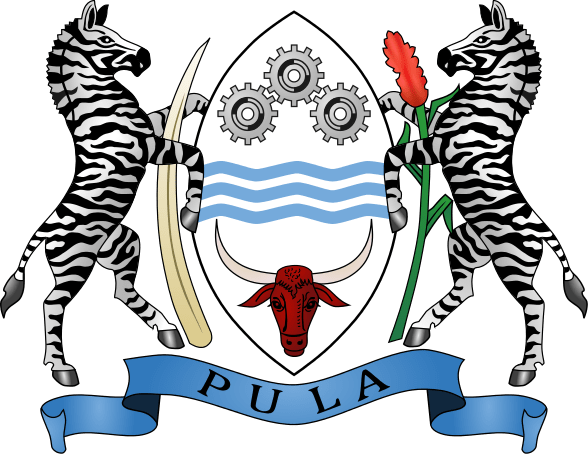 Botswana /bɒtˈswɑːnə/, officially the Republic of Botswana (Tswana: Lefatshe la Botswana), is a landlocked country located in Southern Africa. The citizens refer to themselves as Batswana (singular: Motswana). Formerly the British protectorate ofBechuanaland, Botswana adopted its new name after becoming independent within the Commonwealth on 30 September 1966. It has held uninterrupted democratic elections since independence. Botswana is flat, and up to 70% is covered by the Kalahari Desert. It is bordered by South Africa to the south and southeast,Namibia to the west and north, and Zimbabwe to the northeast. Its border with Zambia to the north near Kazungula, Zambia, is poorly defined but at most is a few hundred metres long. A mid-sized country of just over two million people, Botswana is one of the most sparsely populated countries in the world. 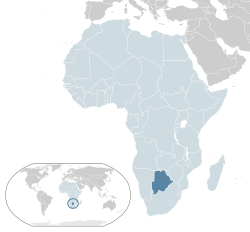 Botswana was one of the poorest countries in Africa when it gained independence from the United Kingdom in 1966, with a GDP per capita of about US$70 per year. Botswana has since transformed itself, becoming one of the fastest-growing economies in the world with a GDP (purchasing power parity) per capita of about $16,400 per year as of 2013, and a high gross national income, possibly the fourth-largest in Africa, giving the country a modest standard of living. The country, being a member of the African Union, also has a strong tradition as a representative democracy and has the second highest Human Development Index of continental Sub-Saharan African countries, despite having been ravaged by the AIDS epidemic.